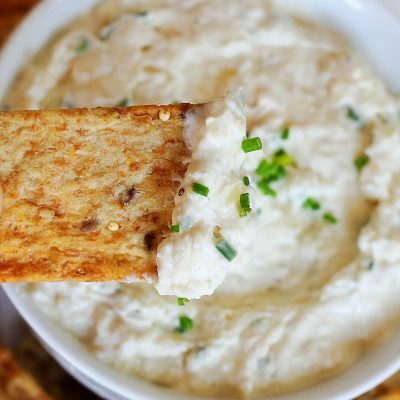 This French Onion Dip is one dip you have to make! 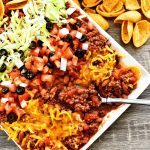 It’s bursting with lots of flavor and it is easy to prepare. It’s a crowd pleaser for sure! Hi friends! 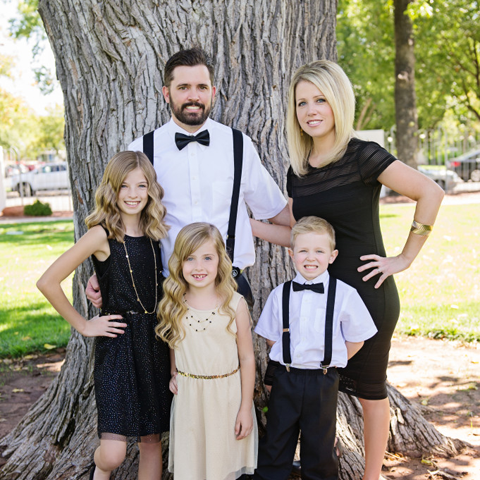 It’s Kathryn here from Kathryn’s Kitchen Blog! 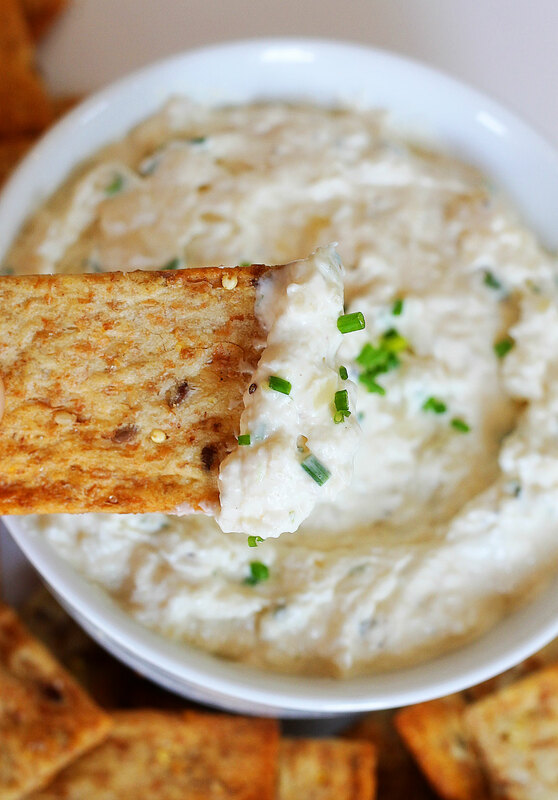 I am so thrilled to share with you today my recipe for this French Onion Dip! 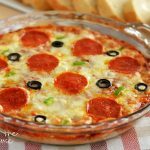 I am a fan of most dips, but this dip…you have to try! I love anything that involves chips and dip. 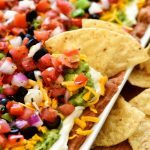 Chips and salsa, chips and guac, chips and hummus. You name it, I love it! 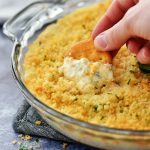 This French onion dip is one of my favorites. 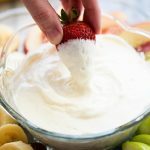 Whether you are making this for a summer BBQ, watching football, or for a party, this dip is perfect for any occasion. You don’t need to rely on the store bought stuff anymore! 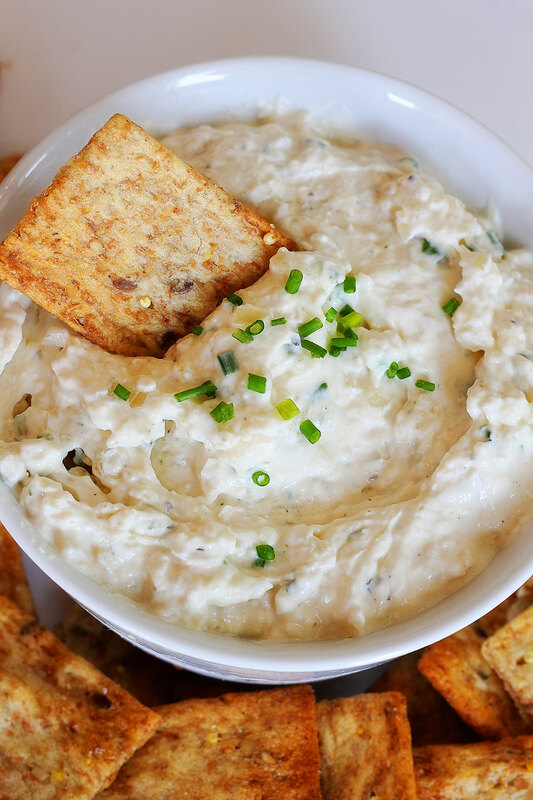 This French onion dip is so easy to make and is bursting with flavor. It is well worth your time and effort to make this stuff, I promise! My personal favorite chips to dip are Ruffles potato chips or plain pita chips. Yum! In a large saucepan, over medium-high heat, add butter and oil. Add chopped onions when butter melts. Stir onions often until they turn a golden brown and start to caramelize. 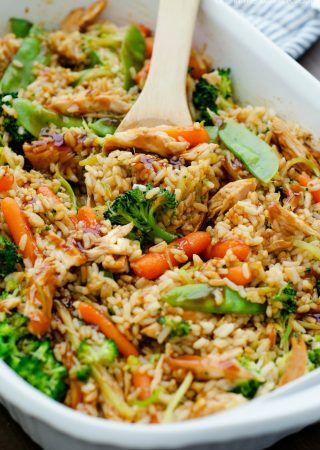 This can take anywhere from 10-20 minutes depending on the size of your pan. Add in water 1 tablespoon at a time when the onions are cooking. The water will absorb from the heat. In the meantime, combine the sour cream, mayo, Worcestershire sauce, garlic powder, salt, pepper and 1 tablespoon of chives in a medium sized bowl. Once the onions are done, add them to a food processor and pulse for a few seconds. You don't want to puree it. You do want the onions to be slightly chunky still. Add the onions to the dip to the mixture and stir until combined. Place the dip in the refrigerator for an hour before serving and top with leftover chives. Stir one more time when chilled and sprinkle more chives on top. 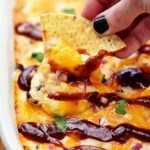 Dip with your favorite chips!